All the previous post posted by us shows the risk indicators of Louis vuitton items that come in duplicate products. With the help of those pointers you can easily select original Louis Vuitton products. We have discussed points related to handbags and belts that are the products that sale mostly online and have risk related to item being fake. 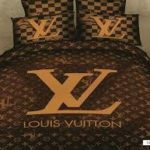 In this post I will share you the items that Louis Vuitton does not manufacture. These items are sold in markets saying they are manufactured by Louis Vuitton while they are not. These items consists Louis Vuitton logo as well as monograms. They looks authentic but are not manufactured by Louis Vuitton. These items mostly consist of accessories of daily use. 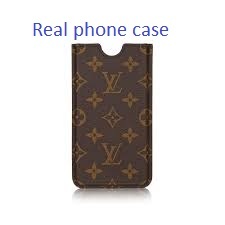 1: Hard back Phone case: Louis Vuitton never makes phone case with hard back cover. Original cover comes with soft case like pouch which costs around $100. 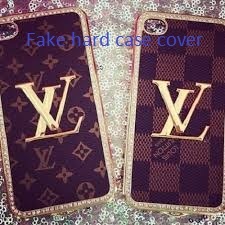 Hard case iphone case is never made by Louis Vuitton. Below image shows both authentic and replica covers. 2: Louis Vuitton does not make co-branding shoes with Gucci. If you see any shoes with both Louis Vuitton and Gucci logo then item is 100% fake. These items are manufactured in China and look so real. 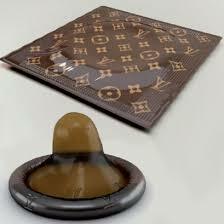 3: Counterfeiters are making adult items such as co***ms having Louis Vuitton monograms. Louis Vuitton never makes such products and will never enter in such markets. Never be fooled by purchasing such items with cheap quality. 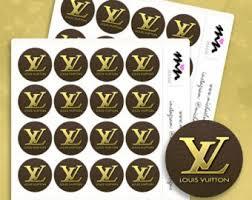 4: Louis vuitton never manufacture decals having Louis vuitton branding on it. These decals can be used on replica items to show it is original. It hurts the intellectual property of Louis Vuitton which is not legal. We have list of items that Louis Vuitton does not make. 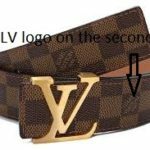 Please visit our page again to see more DNM items from Louis Vuitton and be aware of fake products in market. Louis Vuitton Damier pattern belt fake or real?